An old folklore surrounds a wooden image of the Holy Child which can be seen in Carmen’s barangay Luyang, located next to the town center. The image is darker than the one given in 1521 to Juana, wife of Rajah Humabon or Hamabar. According to the folktale, the Sto. Nino image in Luyang was also left behind by either Magellan in 1521 or Miguel Lopez de Legazpi in 1565 when he officially placed Cebu under Spanish rule. Mario Giangan, a local police officer, had recounted stories from his grandparents who said that before the Spaniards came, Luyang was already a center of trading. Giangan’s story, based on the oral history from his grandparents, attributed to the Sto. Niño’s protection the locals’ escape from the Moro raiders. 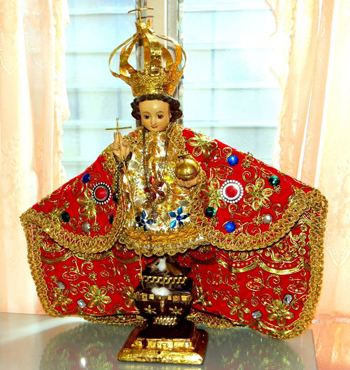 As of now, the community in Luyang protects the image of the Holy Child, as much as it had protected His people through these years.